In honor of the 10th Anniversary of GTA III Rockstar Games has announced a new, limited edition 12" Claude Speed action figure. 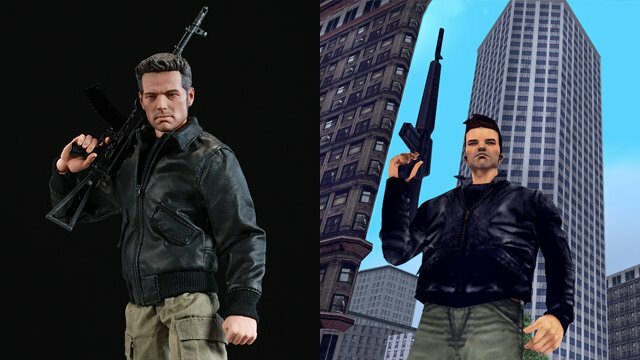 Created in partnership with Sideshow Toys, this amazingly detailed 12" figure brings everyone's favorite GTA III protagonist to life. This figure is limited to 1,500 units. The cost will be $150, which is an outstanding price for this extremely high quality product. Pre-Orders are available on the Rockstar Warehouse online store. The figure will ship to customers in November. Here we see Claude with his iconic baseball bat. Claude's outfit has real cargo pockets and even working zippers. 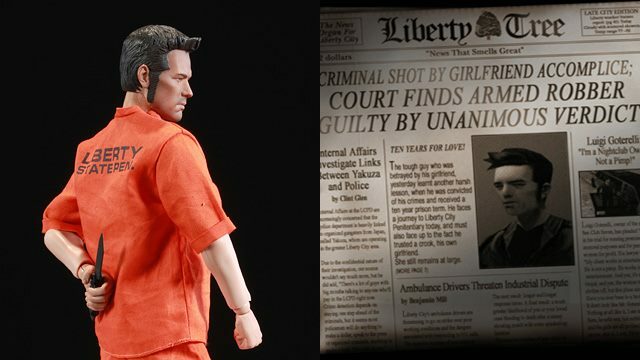 Sideshow Toys has captured the essence of Claude down to even the smallest details. The company is known around the World for their outstanding, adult collector toys. The extremely high quality of their products and their attention to detail is second to none. 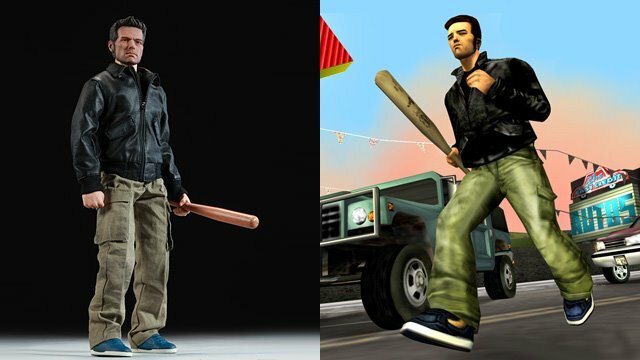 Only Sideshow Toys could do justice to this legendary GTA III icon. Claude also comes with his orange prison jumpsuit. 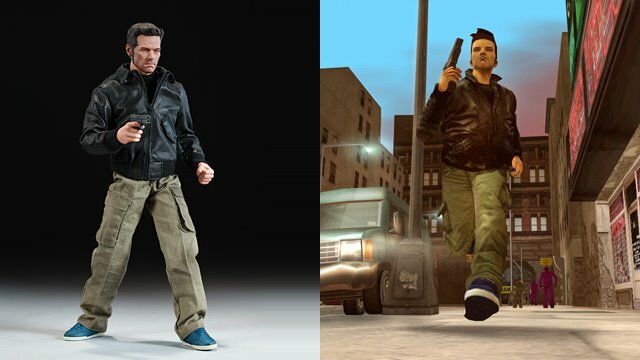 He is wearing this outfit during the opening scenes of GTA III. Now you can re-enact Claude's daring prison break. With a knife behind his back Claude is ready to make his big escape! Claude hits the streets of Liberty City, with a pistol in his hand, ready for trouble. With almost 30 of points of articulation this figure can be posed in almost any position. Claude also comes with additional sets of hands to hold his weapons, or fists to fight his enemies. Claude comes equipped with an arsenal of weapons and accessories. These intricately detailed weapons even feature removable clips. Talk about attention to detail! 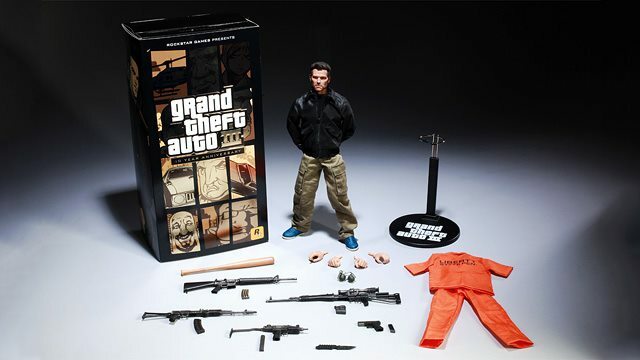 All of your favorite guns and weapons from GTA III are included. Here is the complete feature list for this figure. As you can see you really do get a lot for your money. Of course this isn't the first time Claude has been immortalized in plastic. 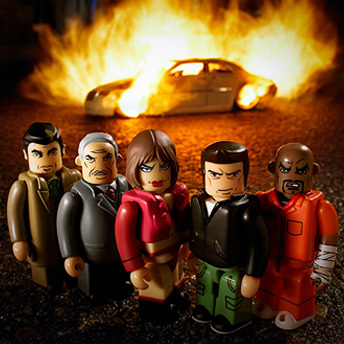 Just a few years ago Rockstar Games, in partnership with Kubrick Toys, released this set of GTA 3 Kubrick Action Figures. This set is still available on the Rockstar Warehouse for the small price of $39.